Click here for full details and photographs of the event. I welcome you to Ajayi Crowther University where we raise Godly intellectuals, who proceed to be agents of great positive change and transformation in their immediate environment, the nation in the world as a whole. Ajayi Crowther University is an institution of the Anglican Church of Nigeria. Accordingly, we are a Christian University. We emphasize the fear of God, sound academic development, excellent character formation, hardwork, diligence and entrepreneurship. We offer NUC accredited undergraduate and postgraduate programmes cutting across various faculties and centres at affordable fees. You are welcome to explore our website for adequate information on the activities in the University. More News Items. . .
Full NUC accredited programmes delivered to meet high standards and quality in a conducive learning and living environment with state of the art facilities. 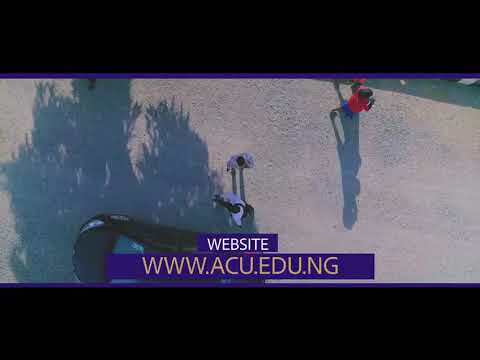 ACU PG School aims at capacity building through robust academic programmes at the Master's level, in the immediate and up to the PhD in the nearest future. This programme offer students who are deficient in SSCE and UTME an opportunity to remedy their deficiencies and qualify for admission into any degree programme. Targeted at categories of people, who cannot pursue the full-time undergraduate programmes and who have the desire for educational development. 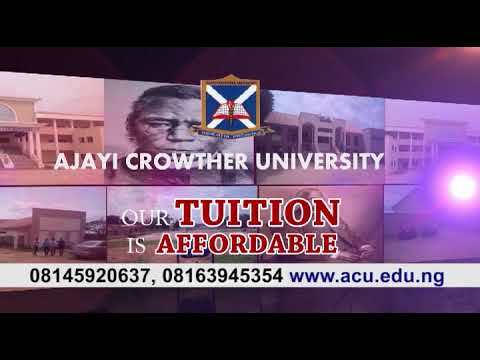 Why Study at Ajayi Crowther University? Variety of quality student accommodation with regular water facilities, stable power supply, super-fast wifi internet among others. ACU offers affordable tution fee which can be paid in three (3) instalments to enable parents/sponsors pay their ward’s fees promptly. ACU has two (2) fully stocked libraries equipped with latest books, audio-visual learning materials, ebooks and online resources. Both libraries have eLibrary with internet and quality computers. With our state-of-art gymnasium, football, lawn tennis, badminton, volleyball, basketball plus other indoor & outdoor sporting facilities, students discover and develop their sports interests/talents. ACU's Alakija Faculty of Law Complex is unarguably the best Law Faculty building in Nigeria. Equipped with many ultra-modern learning facilities and fully airconditioned lecture rooms and auditorium.